Despite the industry's move to reduce salts in food products in a bid to battle the UK's growing health problem, it turns out a lot of the British public isn't actually that bothered. In a recent survey conducted by Sainsbury's exploring the UK's salt intake, 42% of Brits were found not to monitor their salt intake at all. A further 43% have no idea of their recommended daily salt intake. Worse - less than one in three are sure that salt can represent a health risk. Given the government's efforts to push manufacturers to lower the salt content of foods under the new Responsibility Deal, one would think more would be done - or should be done - to educate people around why manufacturers are being pressured to cut salt in products. Food makers are getting it right. In an attempt to help customers manage their salt intake, Sainsbury's - for example - details salt content on front-of-pack labels. This and similar moves are paying off. 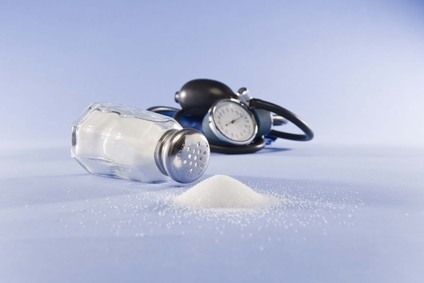 According to Jane Ellison, public health minister, the World Health Organisation has recognised the UK as "being among the world leaders in reducing salt in the diet". But with 20% of the population still adding salt to food at the table - it appears efforts are being wasted. There is clearly a long way to go when it comes to educating the public on the impact of salt on their health.